Silly pony sketch I scribbled over at my mom's! Oh wait, the colors are in my head; those are good mushrooms! 'Shroomin'! Ooh, the colors! ‌=@o@= Oh wait, the colors are in my head; those are good mushrooms! 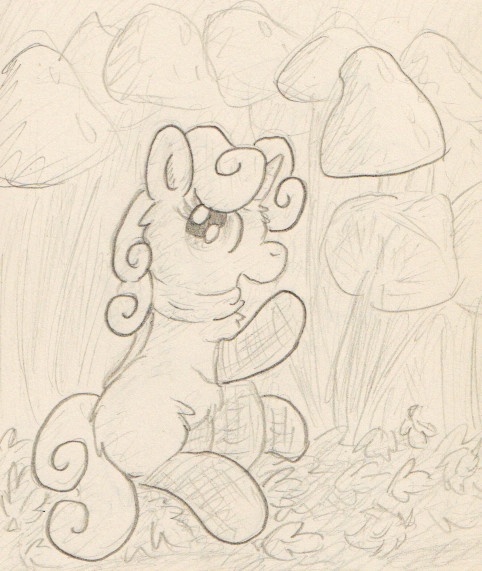 I'll do a shroomy picture in that vein not too far off! There are huge red mushrooms in the woods behind my house. Shade, what should I do? Take a picture! Do they have spots?